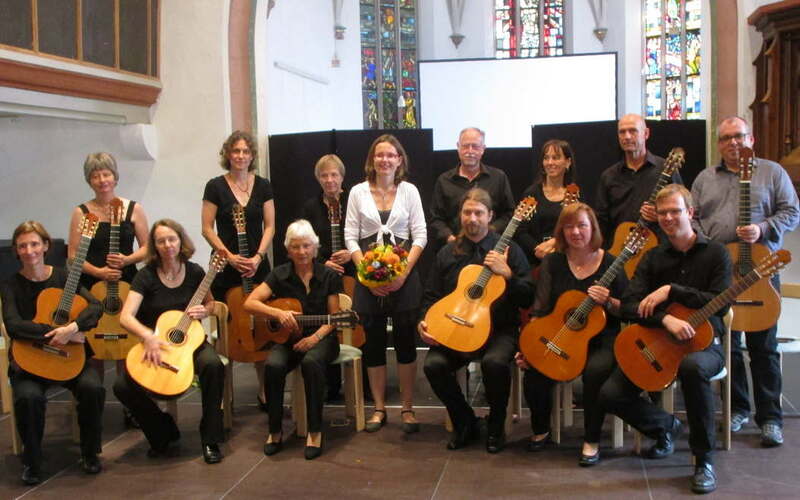 Out of the Nürtingen guitar ensemble, a guitar orchestra has developed in recent years through the addition of now 17 active guitarists and guitarists. Affiliated with the Nürtingen e.V., the organizer of the International Guitar Festival, the orchestra offers adult professional and amateur guitarists a forum to play music together. With enthusiasm and enjoyment of music, Mandy Bahle is gradually developing a broad repertoire. Mandy Bahle studied classical guitar at the Academy of Music "Hanns Eisler" in Berlin and was a scholarship holder of the German Music Council. Since 2000 she teaches at the Music School Tübingen. In 2001 she founded the Nürtinger Gitarrenorchester and conducts it until today. Foreign tours with the youth guitar orchestra Baden-Württemberg have taken them since 2004 to Central America, China, South Korea, Holland and Portugal. From 2007-2009 she was artistic director of the Landes-Gitarrenorchester Sachsen-Anhalt.